This is a story that I have to share!! This guy is amazing and his story is wonderful!! 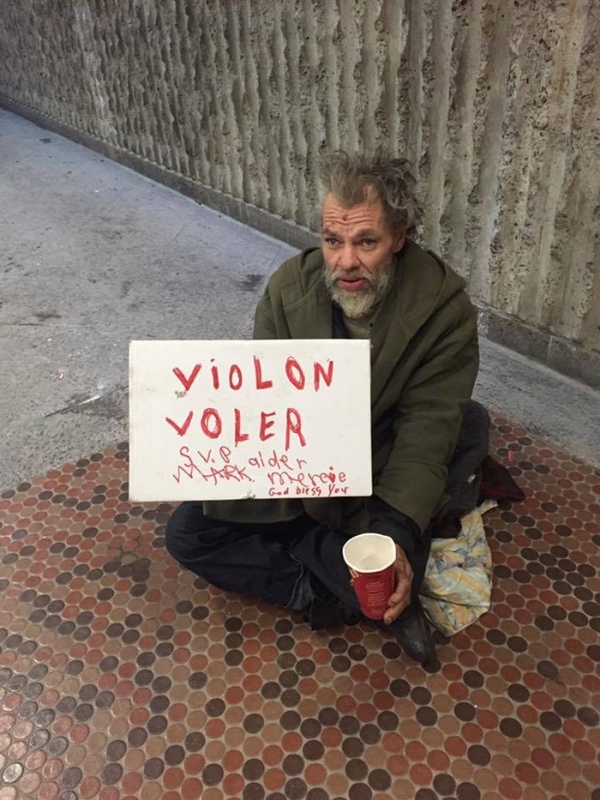 In Montreal, Landry’s violin was stolen; the person who took the violin , took much more than that, took his instrument, a way to live, his smile and part of his life. Today Mark Landry has a new friend, a new companion in his days of happiness, because his music is every thing for him.